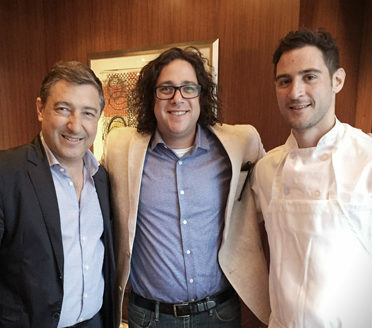 At Madrid & Beyond, we believe what really counts are the people you encounter, and the genuine experiences you share with them. We love sprinkling your itinerary and vacation with insider´s access to a vast range of intriguing individuals; people who have become part of our extended family and simply can’t be booked online. 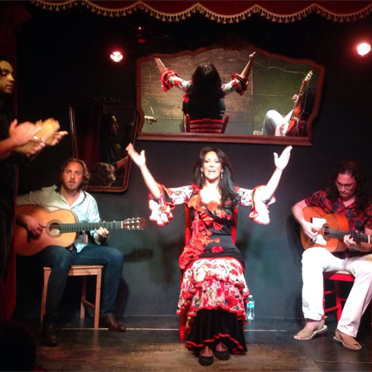 From leading chefs to bullfighters, eminent winery owners to art professors, renowned architects to authentic gypsy flamenco musicians, olive oil makers to members of the aristocracy, artisanal pottery makers to distinguished artists, soccer insiders to famous mountaineers and so on, and so on. We love to open doors to these fabulous characters and personalities, letting you capture the true essence of Spain and Portugal and their people. The smiles and courtesy you’ll encounter are genuine and will make your trip sing. For those with an eye for art, we provide a private entrée to Art Restorers in their tucked-away studio in Seville. Jesus and Pablo will warmly open their non-descript door and invite you into their artistic treasure-filled abode to share their passion for art and reveal the techniques they use to revive old art pieces. Other insider experiences include an exclusive visit to an historic horse farm and a private ‘dancing horses show’. Or perhaps spend a day with a bullfighter, watch him train and learn his sought-after secrets. 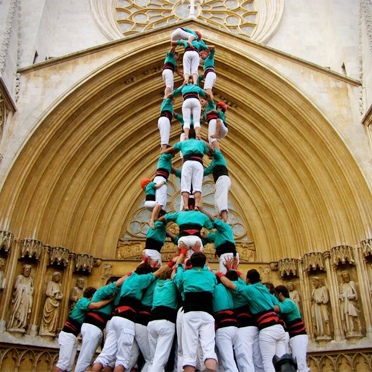 In Barcelona we provide access to Castellers Clubs, where you’ll gain incredible insight into Barcelona´s fascinating Casteller tradition. 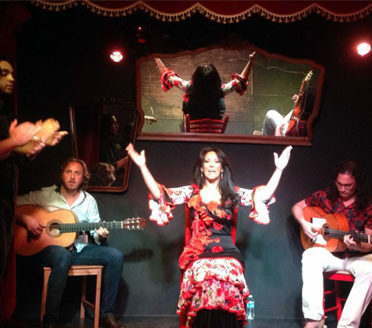 In Portugal you can join a good friend of Madrid & Beyond, a charming Fado singer and his amigos for an authentic Fado night out surrounded by musicians and singers. He will take you to hidden taverns and bars where you can experience the real feel of Lisbon and the Portuguese culture. For those who don’t like to return home empty handed, opt for an expert shopping insider who knows every nook and cranny of the city, from the not-to-be-missed curio shops in the old quarters to art galleries and antique stores nestled away in beautiful side streets, stunning jewelers, Spanish designer stores, the most fashionable shoe shops and so on. We highly recommend that you try to fit at least one of these insider experiences into your itinerary – as these tend to create some of the most enriching, cherished memories of all! We always had the strong sense that we were gaining experiences which would not have been possible without the local knowledge they [the guides] brought. There was an authenticity to each one of our visits which we really appreciated and this would not have been possible unless each of the guides genuinely enjoyed what they do and were, thereby, able to engage with us in the way they did. … We also visited a sausage maker, an olive oil maker, 2 local artists, and had 2 fabulous lunches. We had amazing access to all of these people and their work, talking with them, asking questions, with our guide translating as needed. The person-to-person interaction made it very special. Our guide clearly has an insider’s reputation since everyone seemed to know him by name and shake his hand with a smile. 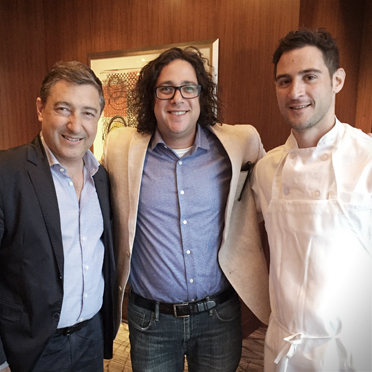 We loved our experience… Our chef was so good… We were blown away on our trip! 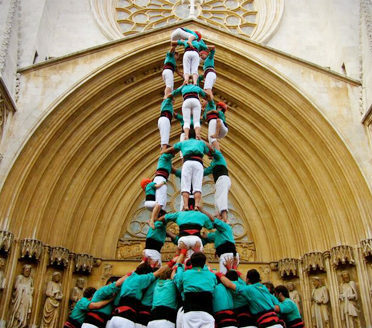 The Human Towers experience in Barcelona was so much fun!